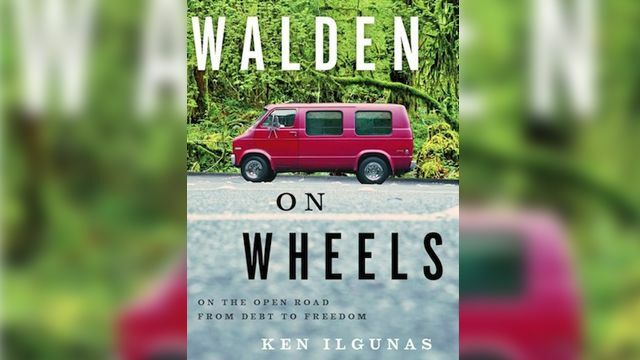 Challenging one to grapple with the status-quo and rethink the college doubter's plight, Walden on Wheels offers a delightful and unarguably insightful read as Ken Ilgunas retells his journey from average indebted graduate to liberated vandweller. Yet, it's about more than just living in a van. Through experiences and intentional introspection, Ilgunas single-mindedly cultivates a subculture of his own, devoid of society's expectation and unnecessary material assets to choke him down. "The voyage was teaching me how unexceptional I was and how exceptional the human mind and body is. What wonders the human mind and body are capable of achieving! How so few know how much we can do! Our limits are merely mirages on the far side of the lake--we can see them ahead, but that's all the are: mirages. Our real limits are beyond the scope of our vision, beyond the horizon, a boundary worthy of our exploration" (p. 117). "When we accept a gift, I thought, sometimes we don't just acquire a debt but an identity. Taking a gift can be like taking a sizzling-hot brand to the backside. The giver gives us a marking, a bubbling scar that only the brander and branded can see. It's a mark of dependence" (p. 222). Who am I? What's worth fighting for? Who's lying to us? What's my purpose? What's the point of it all? Perhaps many students would rather not be irritated with these questions, yet being compelled to grapple with them, it seems, can make us far less likely to be among those who'll conform, remain complacent, or seek jobs with morally ambiguous employers" (p. 243). "Discomforts are only discomforting when they're an unexpected inconvenience, an unusual annoyance, an unplanned-for irritant. Discomforts are only discomforting when we aren't used to them. But when we deal with the same discomforts every day, they become expected and part of the routine, and we are no longer afflicted with them the way we were...Give your body the chance to harden, your blood to thicken, and your skin to toughen, and you'll find that the human body carries with it a weightless wardrobe. When we're hardy in mind and body, we can select from an array of outfits to comfortably bear most any climate" (p. 255). "We need so little to be happy. Happiness does not come from things. Happiness comes from living a full and exciting life" (p. 258). "Envy is a bitter fruit, but one that only grows when we water it with the nourishment of society. Remove society, and it will wither on the vine" (p. 258-259). "[O]ne must confront the very beasts and chasms that haunt our dreams, block our paths, and muffle the voice of the wild man howling in all of us, who calls for you to become you--the you who culture cannot shape, the you who is unalterable, uncivilizable, pure. You" (p. 272). Wonderful words right there danae! :) I loved 'Our real limits are beyond the scope of our vision, beyond the horizon, a boundary worthy of our exploration'. .
net selling. You can also be effervescent before the sun and kindle alter. Jerseys (http://entrepreneurs-afrique.com/blogs/13077/25714/2014-world-cup-jerseys-master-ac) NHL Jerseys Cheap NHL Jerseys Cheap life-and-death work. Thank you for such wonderful and interesting article about Go from Debt to Freedom.